It’s a sad fact that Water Voles are the fastest declining British Mammal. 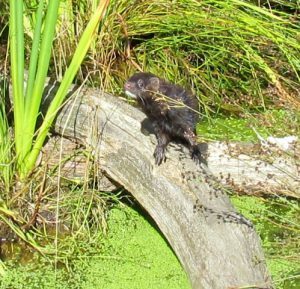 Threats from habitat loss, fragmentation, mis-management of habitats, predation especially by American Mink, poisoning and pollution have taken it’s toll on this cute, riparian mammal which lives, feeds and nests on the banks of water courses, ditches, canals and still waters. Read more to find out what we are doing to reverse this trend. The Tame Valley Wetlands area once had a thriving Water Vole population. They were found in Tamworth, along the River Tame and along the Coventry Canal. 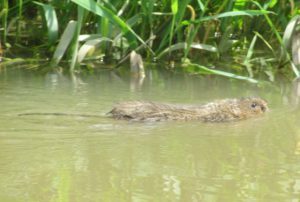 Water Voles thrived at Kingsbury Water Park and along the ditches around Whitacre, at Ladywalk Nature Reserve and along the River Bourne and River Blythe. We know this from countless conversations with land owners and residents who live in the scheme area. The familiar ‘plop’ of Ratty, the Water Vole diving into water was commonplace. Also in the scheme area was a mink farm which stocked American Mink, a non native species. A few decades ago, animal activists released the mink into the environment, setting them free from their cages. Sadly, the consequence of this action had a devastating and long lasting effect on our local water vole populations, wiping them out from the scheme area. But the tide is turning in favour of Water Voles in the Tame Valley, once more. Water Voles are close by, expanding along water courses in Warwickshire along the River Anker and the Coventry Canal. Warwickshire Wildlife Trust are committed to expanding this regionally important population and are encouraging their expansion with habitat motels which will ensure their movement towards the Tame Valley. Read about their project here. Even better news, is that we have already received a number of suspect sightings in the scheme area, which we investigated during 2017. We are working on a number of measures to aid our beloved Water Vole’s return to the Tame Valley. Record suspect sightings to us, so that we can investigate it. 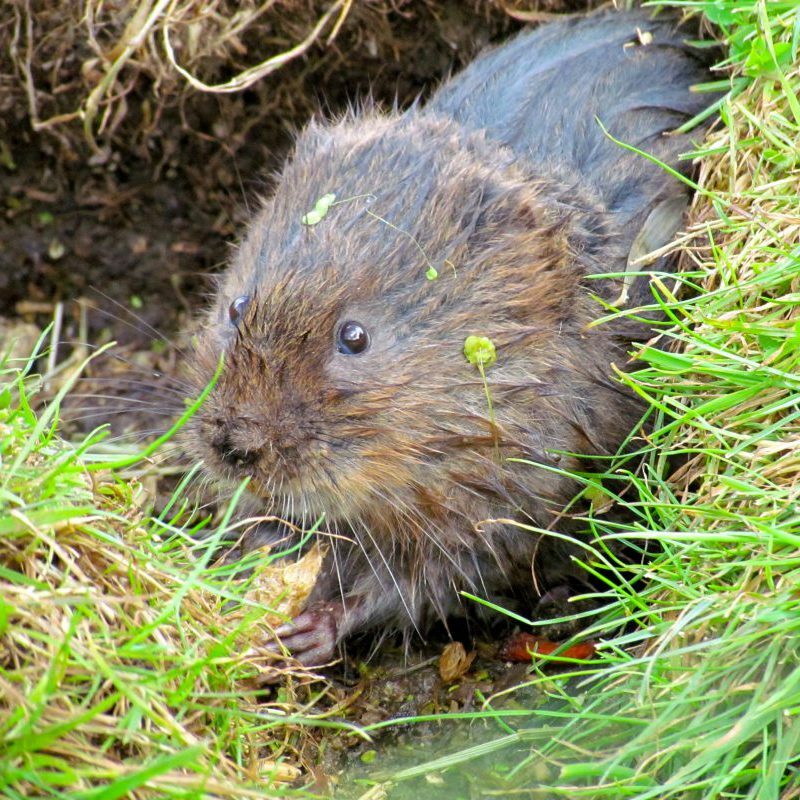 Click here to read more about the work Tame Valley Wetland carried out alongside our partners as part of the ‘Ratty’s Return’ project to get the area ready for the return of Ratty the water vole. If you are interested in helping us look for Ratty in the Tame Valley area using simple floating rafts, we’d like to hear from you. Contact our office and speak to the Wetlands Landscape Officer on 01675 470917 or email enquiries@tamevalleywetlands.co.uk.